I need the Jawaharlal Nehru Technological University Convocation Online Certificate information so please can you give me the procedure to get the online Certificate and tell me the page link where I can get the certificate? Here is the detail of Convocation Certificate. 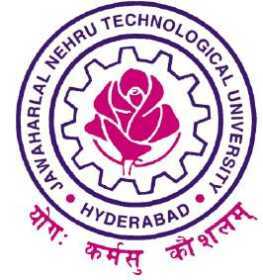 Here I am providing you link where you can apply for convocation as online for the JNTU. When you click on the above link you will redirect on another page which looks similar to the given image. Here you need to login your self by entering user name and password. 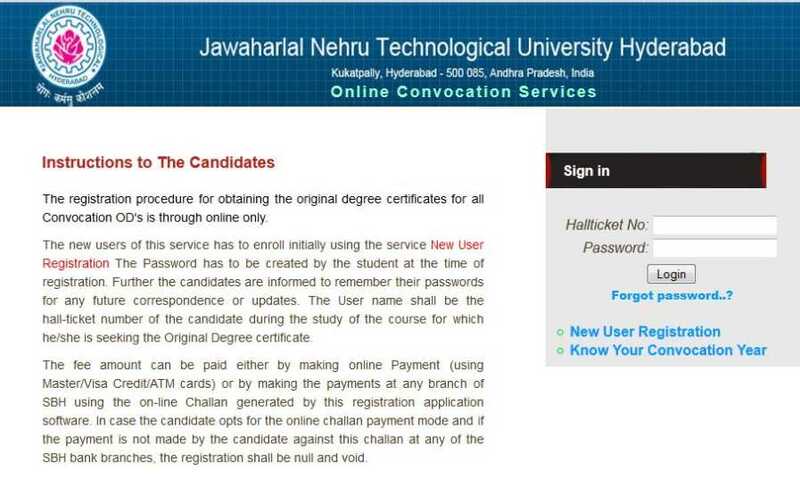 You want to get Jawaharlal Nehru Technological University Convocation Online Certificate information so for its information first you have to login. 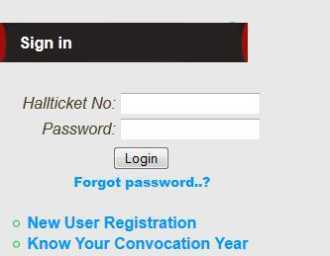 For Login first select User/Student then have to enter username and password and atlast have to click on login button. After this you can apply online for JNTU Convocation Certificate and also get information about it. how could we register online ? its asking the password and username.. the user name is the hall ticket number and hw abt the password ??? and hw to get register ?? when i am register online ? I entered DOB is wrongly..how can I edit this one..plz anyone can reply me..fastly..
Can you please tell me from where I can apply online for Convocation of Jawaharlal Nehru Technological University (JNTU) Hyderabad???? Last edited by Aakashd; July 27th, 2018 at 03:54 PM. Even i entered DOB wrongly..how can I edit this...plz help..fast..